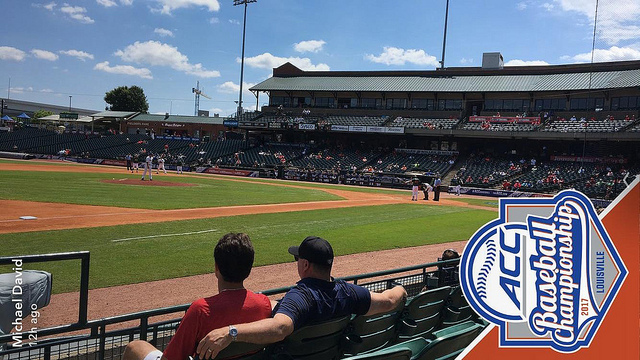 Louisville Slugger Field-Louisville, KY: After a few days of rain delays and re-scheduled games, we finally made it to Slugger Field for some ACC baseball. Since I practically live at this ballpark now, no need to go into details about it, so we’ll get right to the baseball action. Wake Forest started off hot, and got all of it’s offense from Stuart Fairchild, who hit solo home runs in the first and third innings to give the Demon Deacons a 2-0 lead. Miami really didn’t get things going until the seventh, when they cut the lead to one, and they then scored two runs in each the eighth an ninth innings. 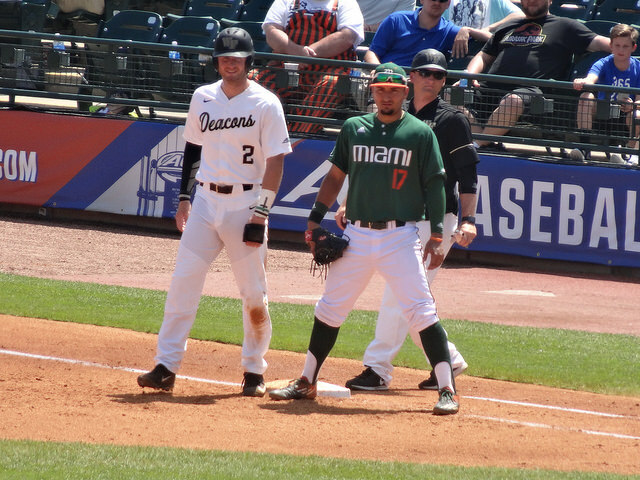 The ‘Canes were lead by the bat of Johnny Ruiz, who went 1/3 with two RBI’s an a run scored. 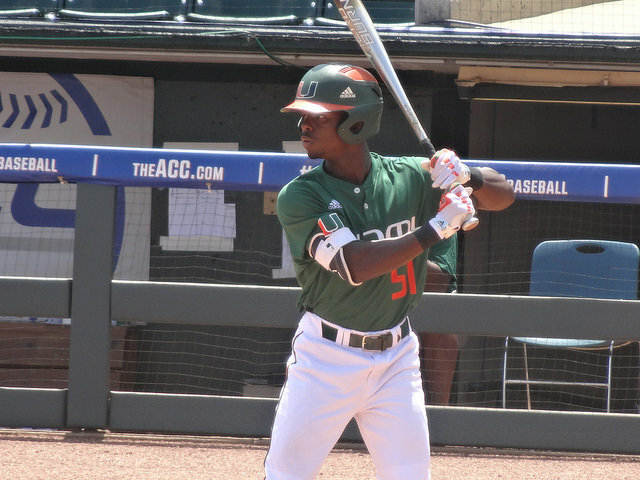 Edgar Michelangeli added a solo shot for Miami, and Romy Gonzalez added an RBI double. 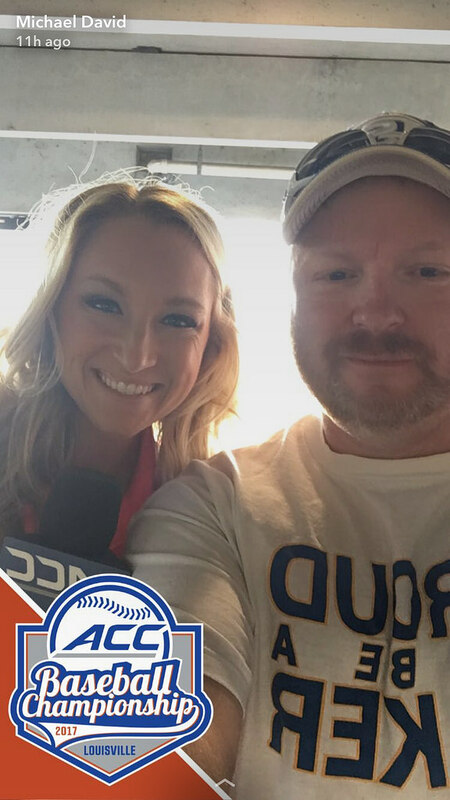 Also, the ACC Network was on hand to cover the action, and I got to chat with one of their reporters. 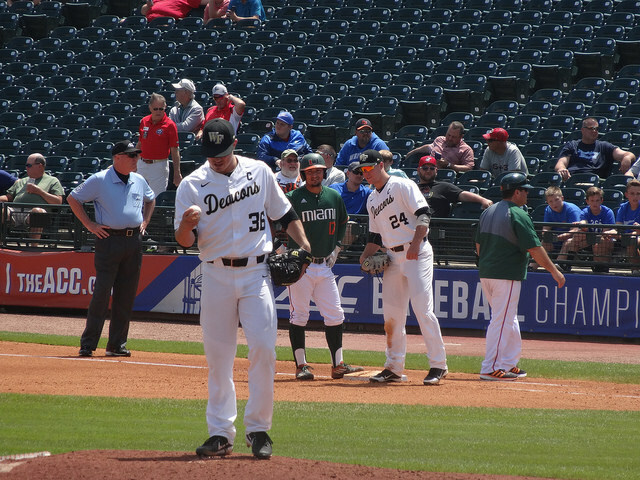 On the hill for the Demon Deacons, Parker Dunshee threw seven solid innings, only giving up the one run on a dinger, and striking out four. Griffin Roberts took the loss, giving up four earned runs on three hits. For Miami, Jeb Bargfeldt pitched five innings, giving up the two home runs. Relief pitchers Gregory Veliz, Cooper Hammond, and Andrew Cabezas shut down the Deacons the rest of the way. FINAL: Demon Deacons 2, Hurricanes 5. 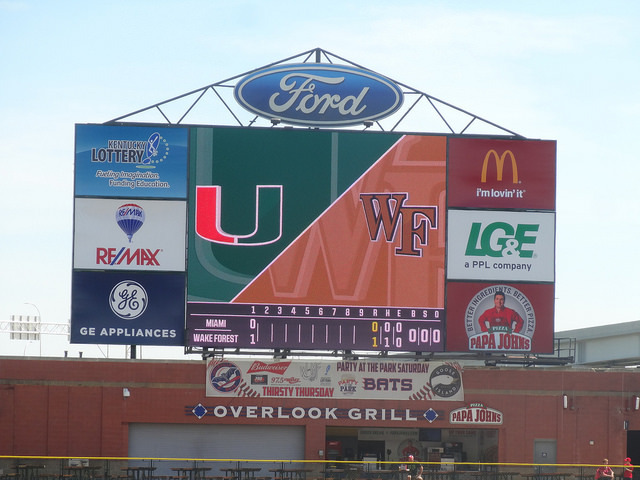 It was a fun game to watch, as the ‘Canes came through big in the last few innings. Not a huge crowd for this one, but that would change drastically, as the home town fans were filtering in for the next game featuring Louisville.